Obituary for Arlene M. Hoell | Williams-Pedersen Funeral Home, Inc.
Arlene M. Hoell, 80, a lifelong Upton resident, passed away peacefully on Sunday, September 16, 2018, at her home surrounded by her loving family. She was the wife of 56 years to Dr. John F. Hoell. Born in Upton on March 2, 1938, she was a daughter of the late Victor E. and Dorothy M. (Kearnan) Negus. She was raised and educated in Upton. Mrs. Hoell was employed as a Registered Nurse at the Saint Vincent Hospital, as the Upton Town Nurse, and most recently as the Blackstone Valley Technical High School Nurse. 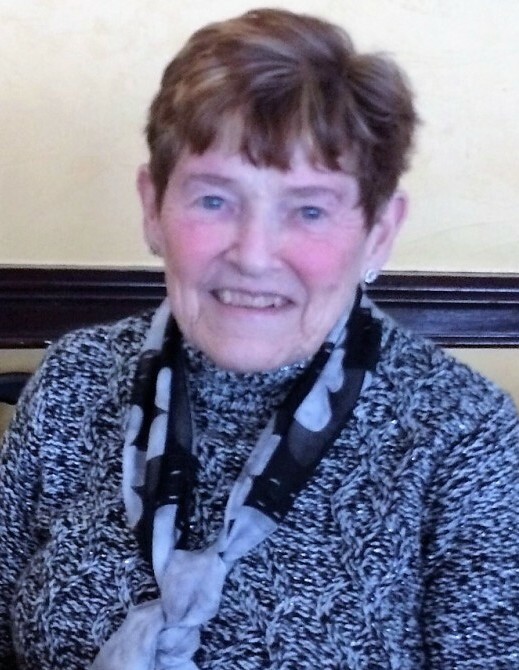 Arlene was a very active member of St. Patrick’s Church in Whitinsville. She enjoyed golfing, walking, running, yoga, traveling to New York City for the Metropolitan Opera, and most importantly spending time with all of her family. In addition to her husband, she is survived by four children, John Hoell and his wife Catherine, of Dennis, Christopher Hoell and his wife Jacqueline, of Whitinsville, Theresa Houlihan of Douglas, and Anne Crotty and her husband Paul, of East Stroudsburg, PA; eight grandchildren, Peter Houlihan, Sarah Houlihan, Elizabeth Crotty, Andrew Crotty, William Crotty, Thomas Crotty, Ryan Hoell, and Emily Hoell; a great-granddaughter, Olivia Jones; a daughter-in-law, Jacqueline Hoell; three siblings, Jean Gareri, Lorraine Winchell and her husband Elwin, and Kathleen Ramsey; and many nieces and nephews. She is predeceased by a son, Michael E. Hoell and her sister, Nancy Jacques. Her funeral Mass will be celebrated on Saturday, September 22, at 10 AM in St. Patrick’s Church, 1 Cross Street, Whitinsville. Burial will follow in Lakeview Cemetery in Upton. Calling hours are Friday, September 21, from 4 to 7 PM in the Williams-Pedersen Funeral Home, Inc. 45 Main Street, Upton.